Despite being vilified by Gartner analyst Lydia Leong, OpenStack has over the past few months consolidated its lead and is headed in a positive direction. Mid-October saw the OpenStack Summit conference in San Diego, and there have been a series of big customer wins and deployments. Indeed, the fall season has been like a coming-out party for the open-source cloud-management solution, with more maturing services announced from partners. GigaOM covered Leong’s report by Gartner that warned IT managers to examine OpenStack cautiously. And anyone contemplating a move to it should carefully consider some of the alternatives, too. But with so much news around the project, it’s worth noting which areas are currently looking up for OpenStack and what to consider when using it. Key new member: VMware, with its Gold status, brings money and attention, along with networking expertise. It could also bring some dissention into the open-source community too. Latest build: September’s “Folsom,” which incorporates dozens of across-the-board improvements. Key PaaS offerings: Turnkey offerings from Rackspace (Alamo) and PistonCloud make it easier to get up and running, and DreamHost has its own offering now too. Large-scale deployments: EBay and Webex are just two companies that have hundreds of OpenStack VMs in production. Amazon isn’t standing still, but OpenStack is gaining in terms of ease of deployment, particularly for private and hybrid clouds. There are some key deployment partners that have generated substantial interest, including Piston Cloud Computing, Cloudscaling, and Mirantis. In August Piston Cloud announced a free version of OpenStack that can be set up in a matter of minutes and can run from a USB stick. This makes it akin to another operating system — albeit one that is even easier to install than some desktop version of Windows or Linux. One of AWS’ early leads was in developing Elastic Block Store, a product that makes it easier to move large amounts of data such as massive scale-ups of virtual machines or apps that need to directly write to physical storage drives. OpenStack includes this feature as part of its Quantum project. Figure 1 compares services from OpenStack and AWS with Rackspace’s offerings. At the summit in San Diego, SolidFire and Canonical also joined forces to deliver a production-ready deployment of OpenStack that supports block storage — a feature still missing from the Rackspace Cloud offering. As Rackspace is one of OpenStack’s founders, it has been the primary place to make use of public cloud offerings supporting OpenStack. At the San Diego summit, it made a series of announcements, including a software development kit (SDK) for PHP and Java along with sample code to get started more easily. (OpenStack has been largely Python-based to date.) It also described building its own internal business-intelligence application that took a traditional SQL query more than five days to run down to about three hours, using Cassandra and OpenStack. The app is now being used by several thousand Rackspace support personnel. Rackspace also has its free version of OpenStack for a private cloud called Alamo, which became available this summer. Also announced at the summit, DreamHost is launching several public cloud offerings under the label DreamCompute. And HP has had its own cloud service based on OpenStack for most of this year. (More on that in a moment.) Having stronger alternatives is key to OpenStack’s future adoption, but it’s also a challenge just to keep track of its various deployments and their different features. Of course, trying to make pricing comparisons between AWS’ and Rackspace’s cloud services isn’t easy, as we wrote about earlier this summer. 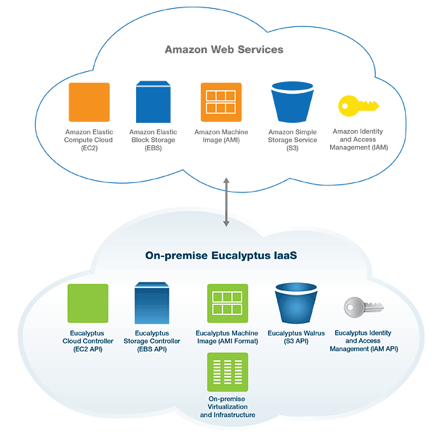 Rackspace includes round-the-clock telephone support, which is an extra charge with AWS. But even when that’s taken into consideration, the Rackspace Cloud Server still ends up costing at least half as much as AWS. One alternative might be HP’s cloud, which seems to be the best bargain to date. VMware joined the OpenStack Foundation largely because of its $1.26 billion acquisition of Nicira, whose support is critical to making a more pluralist and interoperable cloud solution possible. Nicira’s developers are active in the OpenStack community in building the networking pieces, and they will continue to be. That’s a major plus for the foundation and for end users who want to build and manage hybrid clouds that use VMware tools, hypervisors, and third-party products. The virtual networking pieces still need work, and they are essential if you are going to go big with OpenStack. HP’s cloud, which, as we mentioned, is built on top of OpenStack, is moving forward slower than it could or should, with many of its services still in beta or feature incomplete. According to employment site Dice, HP has 125 openings in its cloud-services department. This could mean that it is short-staffed or it is trying to grow quickly — it is hard to tell which. And how fast HP fills these openings will be instructive in seeing where it takes its cloud and whether its cloud offering remains competitive. The foundation has a total of 5,600 members from over 200 companies and more than 500 active engineering contributors to its code base of more than half a million lines of code. And the foundation is a worldwide effort with members in more than 80 countries and more than 40 active user groups from every corner of the globe, including Antarctica. As we mentioned in our piece in September, OpenStack is tracking along a Linux-type growth path. Moving toward turnkey versions such as Piston Cloud is just one aspect; another is having a well-defined series of different bundles or packages to choose from. In my discussions with Rackspace, a representative claimed that a quarter of the Fortune 100 companies had already downloaded its free Alamo version in the first few weeks after it was available in August. That is an impressive rate of interest, even if few of these downloads have resulted in any production deployments. OpenStack is, however, the most organized and has the most vendors and users to date. Citrix’s CloudStack and Eucalyptus are two projects that are moving along and have their own supporters too, who claim that they are both easier to install than OpenStack. Both projects can be used to provision and scale up large cloud-based deployments. 1. Look at the free versions from Piston Cloud and Rackspace’s Alamo first and see if they can deliver value to the kind of cloud you are trying to build. Neither contains 100 percent of the features you will need, but either can get you up and running within a few hours on a couple of spare servers to experiment with it. 2. Watch what Nicira is doing on the various OpenStack projects it is contributing to as well as new announcements from VMware in this space. Because virtual networking features have lagged behind the storage and compute elements, any progress on this front holds the keys to OpenStack’s success (or failure) if it continues to scale up and capture larger installations. 3. Look for third-party vendors who are using Amazon’s APIs along with VMware and others to manage multivendor clouds. For example, enStratus or RightScale both have management tools in this space, and there will be others over time. CloudStack has its CloudBridge, which provides an AWS EC2–compatible API to make it easier to use AWS tools, for example, and Eucalyptus has tried to support as much of the AWS API set as it can. 4. Look at some of the larger cloud deployments from Rackspace as leading examples of how scalable OpenStack can be. WebEx and eBay’s X.commerce are both examples of these, with hundreds of VMs deployed in their respective private clouds. But also look at the lower end. One of Rackspace’s customers is Canarie, a Canadian service provider that built its cloud for small high-tech entrepreneurial companies that didn’t want to build their own clouds from scratch. Canarie now has a multiregion OpenStack cloud deployment that runs on top of a high-speed university network that spans one region in Quebec and another in Alberta. Each region currently contains about 20 hosts, each node supporting about 1.5 terabytes of storage per node, and the cloud is currently capable of handling up to 400 virtual machines. Having both large and small customers covered is a good example of its maturity. 5. How locked in are you, really? While it is great to dive into an open-source project, be sure to account for how easily you can import or export your OpenStack-based VMs into or out of the current cloud provider. Rackspace doesn’t have any current mechanism for doing this easily. Of course, AWS has had import and export features for some time now, and it can even convert VMware, Hyper-V, and Xen images too.